Our recent Best Spider-Man Stories of All Time post was one of the most popular post here on the blog (you really should check it out if you haven’t yet! ), so doing the same for X-Men was an obvious choice. One thing we discover when we began compiling the ballots for the best X-Men stories of all time, is that there is way less consensus regarding which are the best X-Men arcs aside from the perennial top 2 (which you’ll have to continue reading to find out). 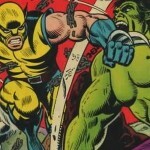 Though there were factions that agreed quite heavily on certain things, and that is their respective love of the John Byrne and Chris Claremont era, the Grant Morrison era and the Joss Whedon era. As for the methodology of this list; it was compiled very similarly to that of the aforementioned Spider-Man list, in that we scoured the web and its numerous lists regarding this topic and add them all together, giving a weighted vote to each arc mentioned according to the users’ ranking as well as giving out points for frequency of appearances. We also kept out the Ultimate line, and stuck to the standard 616 universe. Now, on to the list of the best X-Men Stories of All Time! 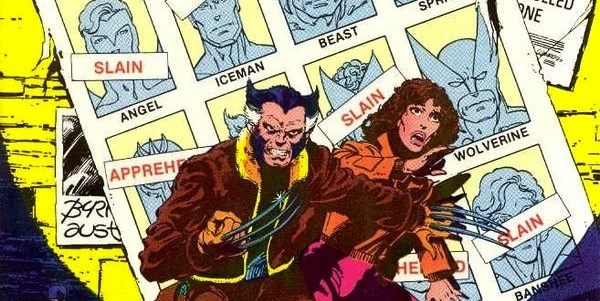 Our first entry into the list of the best X-Men stories of all time comes from the legendary run of John Byrne and Chris Claremont on Uncanny X-Men. These issues feature Proteus (also known as Mutant X), who was Moira MacTaggert’s son. While seldom heard of after these events, many of the mythos established here lived on, such as the introduction of Madrox and Muir Island. Yet another Claremont story enters the list of best X-Men stories ever, as Inferno comes in at number twenty-three, though it is easily one of the most controversial entries on the list. Surprisingly few repercussions from the event, though it did bring many of the offshoot titles together again after a few years of being isolated from one another. No, this list is not moving in chronological order, but for now, here’s X-Cutioner’s Song, a very hyped crossover that was supposed to feature many of the creators who jumped ship to form Image Comics. While not a personal favorite of mine, it is for many their introduction to the X-Men, and hence, one of the best X-Men stories ever. Great art, fun alternate universes and a game changing plot make this one of the most essential and best X-Men stories in recent years. Enter Grant Morrison, with one of his first arcs on the newly renamed “New X-Men”. Among one of the three most important creator runs that compose much of the best X-Men stories of all time. 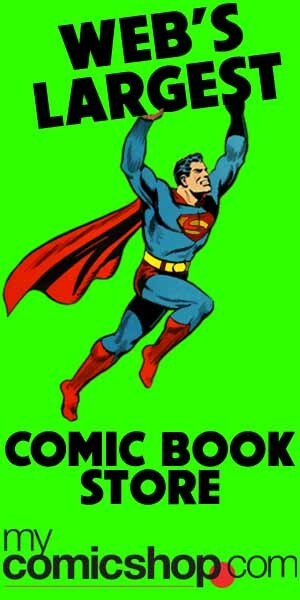 Included below are the issues included in some trade paperback reprints that comprise the actual arc and the arcs and issues leading up to it. Many of the best X-Men stories are those that give life to new X-Men Universes. Add in a touch of Grant Morrison, and yet instantly get a fan favorite story arc. Though it might be cheating to include what is essentially four different storylines that are only relatively loosely associated by the fact that Mutants are being hunted by Sentinels. The Wolverine and X-Men stories are the better ones, and show how a crossover, or “event”, can be done while not being too convoluted. 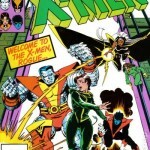 The starting point for many X-Men readers and one of the best-selling comics of all time, Jim Lee and Chris Claremont launch of a second core X-Title is for many of the best X-Men stories of all time. It’s now available with the latest coloring techniques. This one is a bit off the beaten path, as it brought to you by Chris Bachalo and Mike Carey, quite outside the popular eras of Whedon, Claremont and Grant, but considered for many of the best X-Men stories in recent memory. As we inch into the top 15 best X-Men stories and arcs, we finally get our first Joss Whedon entry. This is the second arc of his Astonishing X-Men series, and is actually considered the weakest of the bunch, while still maintaining a strong ranking nonetheless. A personal favorite of mine, the Phalanx Covenant contains the origins of Generation X as well as some of Joe Madureira’s first Uncanny X-Men issues. 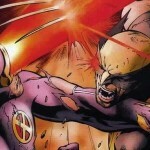 You can’t have a “best X-Men stories” list without featuring the death of Jean Grey at least twice! The continuation of the storyline set in motion after the decimation event after “House of M”, Messiah Complex is a traditional crossover weaving in a linear fashion through each X-title. Who says the 90’s were bad for the X-Men? Fatal Attractions, featuring the return of Magneto, makes it into the top 10 best X-Men stories of all time. Frank Quietly once again perfectly translates Grant Morrison’s plot into images, making this duo one of the best creator teams on X-Men since Byrne and Claremont. Another Joss Whedon arc makes it into the best X-Men stories list. We keep things rolling with another, final, arc by Joss Whedon. Stepping back in time to a classic X-Men story which features a great number of essential villain/hero match-ups, chief among them Wolverine versus Sabretooth making this one of the best X-Men stories in terms of impact, fun and overall enjoyment. God Loves, Man Kills was always one of the best X-Men stories as it perfectly plays the persecuted outcasts of society theme. 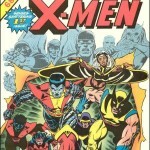 It was also the basis of X2: X-Men United, making it an essential issue. 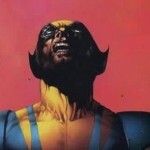 X-Men stories thrive in alternate versions. It could be the juxtaposition of a new setting that make the true star of the series, “The Dream of Coexistence”, all the more clearer. It could also just be that the best X-Men stories thrive when the ensemble casts interrelations shine when the alternate universe versions shake things up. Regardless, the Age of Apocalypse was an ambitious concept that paid off. Generation Next, Astonishing X-Men, Weapon X and the bookend issues are the most exhilarating. Joss Whedon’s inaugural story arc on the new Astonishing X-Men series is also considered his best. The elements introduced in Gifted are pure X-Men, such as the introduction of the cure, and Whedon plays up the characters personalities perfectly. In retrospect, after having read his entire run, you really see the beauty into how he sets up the many plot lines that come together in the end, still while leaving them subtle as to not have the story feel to heavy. Definitely one of the best X-Men stories and definitely a story we would recommend to any new reader. Another inaugural run, Grant Morrison’s first New X-Men run is one of the best X-Men stories out there, as pens the perfect X-Men story with great help from Frank Quietly, arguably his best collaborator. The consequences of this arc are extremely important, as the destruction of Genosha is a major event for years to come. The top two story arcs appear on nearly everyone’s list and demonstrate why Byrne/Claremont X-Men is still the most essential reading for any newcomer. This is the original alternate universe story, and the themes explored in this short two-part story motivate much of the future storylines. 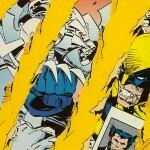 Undisputedly one of the best X-Men stories ever. It’s no surprise to many that the Dark Phoenix Saga is considered the best of the best X-Men stories ever. Not only does it establish many of the X-Men’s mythos, it also features one of the best Wolverine issues ever, the introduction of Emma Frost and Kitty Pryde and the death of Jean Grey. If you haven’t, then just read it. Tell us what you think are the top 25 best X-Men stories on our comment section! Thanks for this! I am compiling an X-Men reading challenge on my GoodReads group (https://www.goodreads.com/challenges/2211-graduate-from-the-xavier-institute-for-higher-learning), and this list was eXtremely valuable!